In 2017, Harvard university shuttered a graduate program in theater training after national media outlets questioned the value of the education students had received. Federal data released for the first time earlier that year revealed students' debts and earnings were wildly out of proportion. Students in the program typically borrowed $78,000 to pay for it, much of it in government-issued loans, while their average earnings years after graduating were just $36,000. It does not take a sophisticated loan officer to understand that an investment that produces so little return does not justify so much debt. After several media outlets, including the New York Times, called attention to the troubling statistics, Harvard announced it would suspend new enrollments in the program. While a low-performing Harvard program will always attract media attention, the more important part of this story is why such poor results were able to fly under the radar. After all, the Harvard program had been in operation for years, and it should have been obvious that a graduate certificate program in theater training that costs $78,000 is a risky bet. Wasn't the problem hiding in plain sight? Consider, however, that the Harvard program's low payoff would not necessarily be obvious. 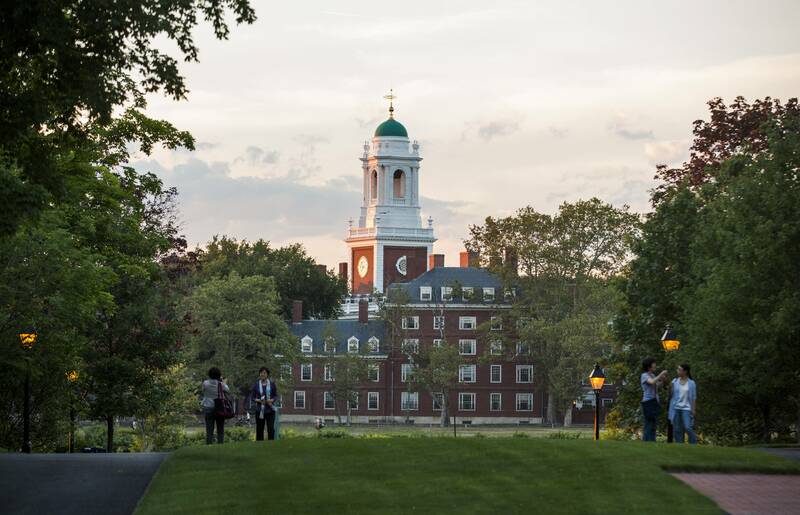 Harvard is a valuable brand and a highly selective institution. Someone could easily assume that graduates of this program go on to exceptional careers and earn more than enough income to justify the price. The high tuition might even signal that the program is indeed more prestigious than other, more affordable theater programs. And, in fact, until the Department of Education released the debt and earnings data in 2017, there was no way to know. Information on what a college degree (or a graduate certificate in the Harvard case) costs has always been a bit opaque, but reliable information on what graduates of a particular university — let alone a specific program — earn in the labor market has been downright nonexistent. To be sure, some institutions and programs survey graduates and publish typical earnings, but that has been the exception, and the reliability of this self-reported information has always been suspect. That is now changing. The statistics that outed the dubious value proposition hidden in the Harvard program are part of a broad policy agenda championed by an influential coalition of advocates, philanthropic foundations, and lawmakers. At its core, this new transparency and accountability agenda seems simple and uncontroversial enough. Providing better information to policymakers and the public on college prices and student outcomes, particularly post-graduation earnings, should make the higher-education system more effective, efficient, and even more equitable. But a closer look reveals that this new agenda involves a more complicated set of choices for conservative and progressive reformers alike. Understanding these choices, which are often obscured or shrouded in jargon, is the key to fashioning a serious transparency and accountability agenda. Calls for more information about higher education and more accountability for colleges and universities are, of course, nothing new. There is a long history of political movements that have demanded such policies at the state and federal levels. Some policies aim to purge for-profit diploma mills from the market; others seek to rein in universities that are charging excessive tuition or check colleges that are offering faddish curriculums unlikely to help students secure jobs. Following the first major federal student-aid programs enacted under the Servicemen's Readjustment Act of 1944 (better known as the "G.I. Bill"), Congress worried that fly-by-night schools were fleecing veterans because state regulatory agencies were not effectively policing the higher-education market. When lawmakers expanded the original G.I. Bill to Korean War veterans in 1952, they added a second layer of quality assurance: private accrediting agencies. Today, only accredited institutions of higher education are eligible for federal aid programs — although many observers believe these agencies have proven to be lax in their oversight of educational quality. Then, in response to problems in the for-profit sector in the late 1980s and early 1990s, Congress added a third accountability test, forming what is known today as the regulatory triad. Under this third test, the cohort-default rate, colleges and universities whose former students fail to repay their loans at high rates lose eligibility for federal student loans and grants. Despite these three accountability tests, concerns about the quality of America's higher-education sector have only grown. In the mid-2000s, rising costs at four-year institutions became the issue of interest. Even a Republican majority on the House Education Committee toyed with imposing price controls for institutions receiving federal aid, but the effort never gained traction. Low completion rates among post-secondary students were also emerging as an accountability issue in the mid-2000s, although this concern never sparked new federal accountability standards either. As other nations rapidly improve their higher education systems, we are disturbed by evidence that the quality of student learning at U.S. colleges and universities is inadequate and, in some cases, declining. A number of recent studies highlight the shortcomings of postsecondary institutions in everything from graduation rates and time to degree to learning outcomes and even core literacy skills. Much of the report discusses the various ways that colleges and policymakers could better assess learning outcomes, such as through the Collegiate Learning Assessment, a test that evaluates critical-thinking and reasoning skills gained between freshman and senior years. Disclosing the results would allow parents, students, and policymakers to compare how students at each institution score and improve on this test. Markets or regulators could then hold universities accountable against some set of standards; or, at the very least, students and families could make more informed comparisons and choices. Testing for student learning as a means to assess college quality, however, is fraught and controversial. Indeed, it was one of the most contentious themes in the 2006 Spellings Commission report. The American higher-education system serves diverse purposes, including intellectual enlightenment, empirical research, and vocational training. And within those categories, there is more differentiation and specialization still. Critics asked how a testing regime could possibly account for all that diversity. As a result, the idea of measuring and reporting learning outcomes to improve transparency and accountability in higher education has never gained much of a following. The Spellings Commission report is also notable today for what it did not emphasize: earnings and labor-market outcomes. While federal policies like the cohort-default rate indirectly gauge students' earnings, those policies were intended to curb problems at vocational institutions, not traditional universities. By contrast, the new transparency and accountability agenda focuses explicitly on what students go on to earn after pursuing any post-secondary education, even at traditional four-year colleges. To be sure, the agenda is also concerned with college costs and student debt, but those data points are usually considered alongside earnings as part of the "return on investment" approach to evaluating institutions of higher education. It is difficult to pinpoint when the focal shift to earnings began, but there were some particularly likely catalysts. Rising college costs and student debt were surely major factors. Public anxiety over these two issues was particularly intense in the years following the recession of the late 2000s, and for good reason. Median sticker prices for annual undergraduate tuition at public and private universities rose from $5,564 in the 1999–2000 academic year to $11,714 in the 2015–2016 academic year after adjusting for inflation. And those sharp increases followed a relentless rise in prices during the preceding decades. Student debt began its meteoric rise more suddenly and recently than did tuition prices. The most popular measure, the stock of outstanding debt, sat at $440 billion in 2004 (in 2015 dollars). By 2015, it had nearly tripled to $1.2 trillion, and today it stands at $1.4 trillion. During that time, the median loan balance of students who earned a bachelor's degree and held student debt grew from $20,619 to $27,897 after adjusting for inflation. The steady increase in sticker prices for college tuition, combined with an even more rapid increase in outstanding student debt, caused many families and policymakers to wonder whether a college education was worth it. That is an age-old question, but when students and policymakers see prices and student debt rising rapidly, especially during a period of weak economic growth, the question seems even more relevant. In addition to anxiety over tuition prices and student debt, questions about the value of post-secondary credentials were also fueled by the rapid increase in enrollment at for-profit institutions between the years just before and after the recession in the late 2000s. These institutions tend to act as "demand absorbers" in the higher-education marketplace, because public and private nonprofit institutions cannot meet total demand due to their reliance on public funding (which imposes capacity constraints). Moreover, public and nonprofit institutions may not be willing or able to offer education to non-traditional students in appropriate formats, for example by providing online courses for working parents rather than inflexible on-campus classes. For-profit institutions clearly played this demand-absorbing role in the aftermath of the Great Recession. Enrollment in higher education surged during that time period, especially among older, non-traditional students. Total enrollment increased from 16.9 million students in the 2003–04 school year to 21.0 million in 2011–12. For-profit colleges held just 4.2% of that enrollment in 2003–04, but that share grew to 9.4% by 2011–12. Because of these trends, along with weak student-loan-repayment rates and suspicion of these institutions' explicit profit motive, policymakers and the media have subjected for-profit colleges to heightened scrutiny. In their view, the existing accountability regime was proving insufficient. Assessing former students' employment and earnings outcomes would be an even better way to determine whether for-profit colleges were offering quality educations. Finally, technological advancements have fueled the recent demand for more transparency and accountability for higher-education outcomes. In this case, demands for information about outcomes are less about changes in prices, debt, or enrollment in for-profit institutions than about our growing capability to collect and disseminate information. To collect data on student outcomes, especially earnings, is a logistical and technological feat even by today's standards. Had the public and policymakers demanded such information 20 years ago, it is doubtful that the technology and administrative capacity available at the time would have been up to the task — and making the information easily available would have been nearly impossible. But today the task is clearly possible, and that has helped drive demand for additional data on student outcomes about earnings and employment. Several federal and state-level developments illustrate the effect that the new transparency and accountability agenda has had on the availability of information about student outcomes. These include the Obama administration's gainful-employment rule, the Department of Education's College Scorecard website, and state efforts like the UT System Dashboard in Texas. In 2010, the Obama administration announced that it would unilaterally develop new student-aid eligibility standards for short-term certificate programs offered at any type of college or university and for all programs offered at for-profit colleges. The vehicle for this policy was the section of the Higher Education Act that categorizes for-profit institutions and certificate programs (at all institutions) as needing to prepare students for "gainful employment in a recognized occupation." At the time, federal regulations were silent on what that meant, so certificate programs and for-profit colleges qualified for federal aid programs in the same manner as other institutions: through the regulatory triad of state licensing, accreditation, and the cohort-default-rate test for federal loans. By defining "gainful employment," the Obama administration created a special test for these programs and colleges — adding a fourth test to the existing triad. The rule took effect in 2015, but the Trump administration plans to replace it with a different regulation largely free of sanctions. Specifically, the rule measured whether each cohort of students that received federal aid and completed a program earned enough to repay their debts. Any certificate program or for-profit program whose students' loan payments exceeded a set percentage of their incomes three years after graduation would lose eligibility for federal aid programs. The Department of Education calculated this debt-to-earnings ratio for each program by matching a list of program completers with its own student-aid database and then with earnings information from the Social Security Administration. The department also published these statistics. The important development here for purposes of understanding the new transparency and accountability agenda is that the gainful-employment test was the first federal accountability policy to directly assess what graduates earn. It also sought to measure the "return on investment" by pairing the earnings information with how much students paid, albeit through the proxy of how much they borrowed. In another break from other quality-assurance rules, the gainful-employment test examined student outcomes by degree program. Under other rules, such as the cohort-default rate, a university is judged as a whole unit and passes or fails as such. But under the gainful-employment rule, each program's performance would be judged separately. It was the release of these program-level earnings and debt statistics that felled Harvard's theater-training program, although Harvard voluntarily shuttered it before sanctions would have taken effect. Another prominent example of the new transparency and accountability agenda's focus on earnings data is the U.S. Department of Education's College Scorecard. This Obama-era initiative, which continues under the Trump administration, is a consumer-facing website that lists information about every college and university that receives federal funds. While the College Scorecard repackaged some information already published on existing consumer-facing government websites, such as prices and graduation rates, it is the first federal site to display the median earnings of an institution's former students (10 years after enrolling) using income-tax data to construct the measure. The Obama administration initially wanted to rate institutions on these statistics and link grant and loan eligibility to them. President Obama said he wanted to show which colleges provided the best return on investment, or in his words, "bang for the buck." But after pushback from the higher-education industry and others, the administration concluded that the diversity of the higher-education sector makes such ratings too difficult. Releasing the College Scorecard as a consumer tool, rather than a ranking system, was as far as the administration would take the effort. The College Scorecard also provides new statistics on student debt at each college, such as typical debt loads and estimated monthly payments. It also indirectly compares debts to students' earnings by displaying the share of students who reduced the principal balance on their federal student loans three years after leaving school. But unlike the gainful-employment rule, the College Scorecard does not disaggregate debt and earnings data by program. Instead, it reports metrics for the entire college. Despite its limitations and lack of ratings or links to eligibility, the Obama administration believed that the new information the College Scorecard would provide directly to consumers could improve the higher-education market. The effects of the new transparency and accountability agenda are also visible at the state level. Several states now publicly report limited earnings information for students who attended institutions of higher education in the state. Virginia and Florida, for example, match wage records collected through their unemployment-insurance programs to enrollment data provided by certain colleges and universities. They then publish aggregate statistics such as median earnings of former students, usually by institution but sometimes at the more detailed program level. A few states, such as Florida, have even pursued limited policies that tie funding for institutions of higher education to earnings outcomes. In Texas, the public-facing UT System Dashboard allows users to select a degree program at public universities in the University of Texas system to see median earnings for its graduates one, five, and 10 years after earning their degrees. For example, the website shows that a psychology major graduating from UT Dallas typically earns an annual pre-tax income of $45,647 five years after earning a bachelor's degree. The site also provides some limited student-debt statistics regarding typical balances and estimated monthly payments alongside the earnings information in an effort to help consumers gauge affordability and return on investment. There are many limitations to these state reporting systems. The data may be "public," but it is not always easy to find or interpret. And just like federal efforts, the data can paint a less-than-complete picture of student outcomes. Some states may not be able to capture information on students from private universities, or those who move out of the state after school or who are self-employed. (The UT System Dashboard uses a unique partnership with the U.S. Census Bureau to address many of these limitations.) Some states' data might focus on only one segment of the higher-education system or on workforce-training programs. Many systems cover only those students who earn credentials to best inform students about potential earnings differences among universities and programs, but therefore exclude earnings for dropouts. Supporters of the new transparency and accountability agenda are actively working to expand their accomplishments, especially at the federal level. These efforts range from filling holes in existing data sources to proposals that would impose tougher penalties on universities. The most notable policy proposal on this front is the College Transparency Act, originally sponsored by senators Orrin Hatch (who retired last year), Elizabeth Warren, Bill Cassidy, and Sheldon Whitehouse. It had a broad bipartisan list of co-sponsors and is sure to return in this Congress. The bill would repeal a 2008 law that prohibits the federal government from creating a "student unit record system" and then would create such a system. Defenders of the prohibition argue that it protects student privacy and guards against federal overreach and misuse of data. But the ban and similar laws make it difficult — if not impossible in some cases — for federal agencies to expand the information they publish about students attending colleges and universities. The earnings information reported in the College Scorecard, for example, covers only students who received a federal grant or loan because the ban prohibits the Department of Education from matching enrollment and earnings data for students who have not received federal aid. Obviously, that creates a major limitation since 46% of undergraduate students do not receive any federal grants and loans, and the number is much higher at some institutions. The College Transparency Act would address this limitation by requiring that colleges receiving federal aid share the necessary enrollment data with the Department of Education and that other federal agencies match those data with earnings records for all students. Median earnings and other statistics displayed in the College Scorecard would then cover all students who had enrolled at the college. One of the novel contributions that the gainful-employment rule made to the existing data on student outcomes was that it covered each program at an institution rather than treating the institution as a whole unit. While the Trump administration cancelled the rule, it has shown interest in maintaining the program-level data collection and expanding it to cover all colleges and universities. The information would become part of the College Scorecard, which currently reports statistics only for institutions as a whole. That would make the site more useful for consumers and institutions of higher education alike. The Trump administration may also expand the College Scorecard to include graduate and professional degrees. Separately, Republicans on the House Committee on Education and the Workforce passed a bill in 2017 requiring the Department of Education to make program-level statistics on earnings available through a public "dashboard," although the bill never made it beyond the committee. Other proposals being developed at the federal level go further than simply collecting and publishing statistics on student outcomes. Some want tougher accountability standards and penalties — including loss of eligibility for federal funds — for colleges and universities with weak student outcomes. Re-instating the Obama administration's gainful-employment rule falls under this category, and so does a set of proposed policies collectively known as "risk sharing." Under risk sharing, colleges and universities have "skin in the game" because they take on some of the financial risk that a student's degree does not produce an acceptable return in the labor market. These policies usually require colleges to bear some of the risk of unpaid federal loans, whether that means defaults or students' failure to reduce the principal balance over a given time frame. The "sharing" part is that colleges and universities would pay a penalty fee to the U.S. Department of Education that bears some relation to the dollar value of the unpaid loans. While these policies do not directly hold institutions accountable for what they charge in tuition and what students go on to earn, measuring loan repayment down to the dollar is clearly a proxy for such a metric. As Temple University economist Douglas Webber puts it in his risk-sharing proposal, "There are thus two main mechanisms that will determine the penalty (and that schools will be incentivized to address), the amount of money that students borrow, and the labor market prospects of former students." The risk-sharing concept is not merely an idea that economists champion. Lawmakers in Congress have sponsored risk-sharing bills in recent years, although none have become law. A notable example is the Student Protection and Success Act, sponsored in the last Congress by senators Jeanne Shaheen and Orrin Hatch, which links penalties for universities to the dollar value of unpaid student loans. Even the Trump administration has endorsed the general idea of a risk-sharing system in annual budget requests to Congress, but as of this writing has not put forth a detailed proposal. Not everyone is in favor of these policies. Perhaps the loudest objections have involved student privacy, a concern that critics raise in response to the government's expanding its information collection and dissemination efforts beyond students who receive federal aid. That was the case that Representative Virginia Foxx, former chairwoman of the House Committee on Education and the Workforce, made in 2007 when she sponsored the ban on the student-unit record that is still in effect today. The American Civil Liberties Union and other privacy-advocacy organizations have also urged Congress to maintain the ban in recent years. At least one major trade association in Washington, D.C., the National Association of Independent Colleges and Universities, has consistently supported the ban, while others have grown more supportive of the government's disseminating more information. Although arguments against an expansion of federal data collection tend to emphasize privacy, they often seem to be rooted in a deeper worry about what policies the government might enact using the new information. There are many steps the government can take to keep personally identifiable information from being exposed, such as suppressing information regarding particularly small programs or colleges. It is fair, however, to cast a wary eye on proposals that contemplate a system in which universities upload vast amounts of data about their students to the Department of Education. That is in fact how the College Transparency Act would operate (and also part of what the Spellings Commission recommended), but these proposals need not go that far. Matching information between two sets of de-identified data to report aggregate statistics on earnings does not require that universities turn their entire record systems over to the federal government. A narrowly tailored policy with privacy protections should be able to mitigate such concerns. Consider how the College Scorecard might be expanded to include students who do not receive federal aid. An institution of higher education would submit to the Department of Education a de-identified list of Social Security numbers of students enrolled, and the Department would in turn request earnings information from the Treasury Department for those students. These students would then be included in the median-earnings figure reported for each institution of higher education in the College Scorecard. This is how the Department of Education currently collects the information for the College Scorecard, except that it uses information from each student's federal financial-aid record rather than from institutions. Another argument against expanding the government's data collection and dissemination is that it would be a wasted effort, taking up time and money that could be better allocated elsewhere. Prospective students and their families will not use it, critics argue. The main weakness in this argument is that it presupposes consumers are the only actors in a position to change behavior when new information becomes available. In fact, there are many actors who could use the information about the earnings of former students to influence the higher-education market. State licensing bodies, accrediting organizations, boards of trustees, high-school guidance counselors, university presidents, administrators, and even faculty could all take action based on the information. Most universities themselves do not have this information, except for the few (usually prestigious graduate and law schools) that collect it directly through unreliable surveys. Watchdog organizations and the press could use the information as well, prompting universities to address weak programs, as in the case of Harvard's certificate in theater arts. While the arguments that expanding data collection could violate student privacy or that consumers might not use it are unconvincing, the concern that the information will become a means to expand government control is more compelling. The distinction between making information more widely available and expanding regulatory power based on that information can sometimes be blurred in the rhetoric of these debates. Calls for reporting more information about student outcomes are often intertwined with calls to crack down on institutions with unacceptable outcomes. The gainful-employment rule is a case in point. It involved two distinct policies: In one, the government collects and reports new information on student-earnings outcomes at the program level; in the other, the government uses that information to determine which programs are eligible for federal grants and loans. Using better information to protect students and taxpayers from sham colleges or guard against waste is a worthy objective, but there is a temptation for policymakers to see themselves as the arbiters of which educations lead to a good return on investment worthy of government money. Even right-of-center reformers can fall into this trap. One conservative organization, the National Association of Scholars, would go so far as to have the federal government dictate a limit on the ratio of administrators to faculty members at each university. Armed with price and earnings information, others might try to exclude students majoring in English or philosophy from taking out government loans but extend subsidized aid to what policymakers believe (sometimes erroneously) are in-demand degrees with higher earnings potential. Thus, in the name of protecting students and taxpayers, policymakers end up picking winners and losers in the education marketplace by deciding who will receive government grants and loans. The risk that policymakers would do more harm than good in directing dollars seems high despite their intention to maximize returns for students and taxpayers. Even the Obama administration acknowledged it could not rate colleges and universities with federal guidelines because of the diversity of both the supply and demand in the higher-education market. Another concern is that directing dollars based on student outcomes will be driven as much by political and ideological agendas as the desire to maximize returns measured in dollars. This is not merely a theoretical risk. Many of the policymakers and advocates who say they want tough accountability standards to protect students and taxpayers from bad educational investments are inconsistent in applying these views. Leading advocates demanding tough accountability standards based on student outcomes are quick to exempt large swaths of higher-education providers, mainly community colleges but also institutions that serve many minority students. Right-of-center policymakers and champions of free markets are often criticized for being soft on higher-education accountability because they defend the for-profit sector or question parts of the new transparency and accountability agenda. Those criticisms are partly justified, as we've seen, when it comes to the unconvincing case they make regarding privacy or the absence of consumer interest. But on the issue of sanctioning colleges and universities for bad student outcomes, they are no softer on colleges and universities than those on the political left. In reality, many of the advocates pushing for more data, transparency, and accountability have claimed the moral high ground on this issue without actually holding it, all while lambasting those who raise important objections. Consider the Obama administration's gainful-employment rule, which applied only to certificate programs and for-profit colleges. The gainful-employment rule allowed Democrats and the Obama administration to take a hard line on accountability even though they were intellectually inconsistent. Look no further than the now-shuttered graduate certificate program in theater training at Harvard. It would still be accepting students today had it only been a master's degree program, since master's degrees at nonprofit institutions were excluded from the 2017 data release. In the administration's defense, the Department of Education does not have the statutory authority to apply the rules to all public and nonprofit degree programs — but in eight budget requests to Congress, the administration never asked lawmakers to change that. Furthermore, the Obama administration took steps to exempt certain students and preferred programs in sectors that would otherwise have been covered by the gainful-employment rule. An early version of the rule, which measured student-loan-repayment rates instead of debt-to-income ratios, exempted borrowers in a special income-based repayment plan for public-service jobs. The exemption would effectively treat these students as if they were making progress paying down their debts even if they were not, meaning that programs with low loan-repayment rates could pass the test imposed by the rule if a small share of their students were pursuing jobs in public service, which was broadly defined to include all government jobs as well as any position at a 501(c)(3) nonprofit organization. Again, the inconsistency is clear. The early version of the rule deemed low loan-repayment rates to be indicative of low earnings and thus a bad return on educational investment. But if those low earnings were earned in a politically favored job, the program was given a pass. Two programs with identical student outcomes would thus be treated differently for largely ideological reasons. Nevertheless, the same progressive activists who championed the gainful-employment rule also lauded the carve-out because it would, in their words, "ensure schools are not penalized for preparing students for public service careers." Another exemption incorporated into the final gainful-employment rule relied on a statistical sleight of hand. Recall that the gainful-employment test measured a cohort's median student-loan payments against median or average earnings. Despite charging relatively low tuition, many community colleges have weak loan-repayment rates that are comparable to those at private for-profit colleges. But the gainful-employment rule included a provision that masks those problematic outcomes. It counted the earnings of students who did not take out loans (but who did receive federal Pell Grants) in the test. This meant that programs where a small share of students borrowed — found mainly at community colleges — would appear to have better outcomes than programs where most students borrowed, even if students from each went on to earn the same incomes after completing the programs. The focus on loans rather than prices creates the disparate treatment. Policymakers often want to make student debt, and the federal student-loan program in particular, the focus of every accountability regime. This is the case for not just the gainful-employment rule, but also the existing cohort-default rate and the yet-to-be-enacted risk-sharing proposals. But by construction, loan-based measures exclude government grants, state general funding for public universities, and a student's own cash contribution. When the goal is to protect federal dollars, one could make the case for excluding the latter two types of funding, but it makes little sense to exclude the $31.6 billion federal Pell Grant program, which provides students up to $6,195 a year, from an accountability system that measures return on investment. Community colleges also benefit from another intentional carve-out in the loan-based accountability measures. The cohort-default-rate test originally included a de minimis clause for colleges and universities with less than 10% of their students borrowing federal loans. These institutions could use a "participation rate index" to weigh what might be high default rates against their low share of students borrowing. The idea was that the college shouldn't be held accountable based on the loan performance of such a small share of its students — even if it is a measure based on all of the students who took out loans. In 2008, Democrats in Congress quietly raised this threshold to 20% so that more institutions, presumably community colleges, with high student-loan-default rates would maintain eligibility for federal student loans. Despite the exemptions for favored colleges and universities, a few institutions manage to run afoul of the standards. In these cases, policymakers on both sides of the aisle have simply changed the rules on the fly to create additional exemptions. Most recently, Senate majority leader Mitch McConnell attached a rider to a 2018 appropriations bill that exempted a community college in Kentucky whose student-loan-default rate was high enough to make it ineligible to continue offering loans. The actual legislative language justifies the exemption based on the fact that the college is located in one of the most economically distressed counties in the country. The Obama administration did something similar in 2014 and 2015 when several community colleges and historically black colleges and universities would have tripped the cohort-default-rate limit. The administration took the liberty of excluding students who had defaulted but who held loans under two different federal programs from an institution's cohort-default rate — arguing the students may have been confused about their loans, which caused them to default. The risk-sharing proposals that have gained popularity in policy discussions also include exemptions and carve-outs. Because risk-sharing applies only to student loans, students at a particular institution who finance their educations with Pell Grants alone but who experience weak labor-market outcomes are exempted from the entire accountability regime. Some risk-sharing proposals, such as the Protect Student Borrowers Act of 2017 sponsored by Senator Jack Reed, exempt from any risk-sharing penalties historically black colleges and universities and institutions that serve a high percentage of minority students. Many observers are surprisingly tolerant of these policies that let institutions off the hook for weak student outcomes provided those students are from low-income families or are members of a minority group. Another risk-sharing proposal that goes out of its way to create lower standards for colleges serving disadvantaged students is one advanced by the Center for American Progress. It would give universities a bonus for enrolling students from certain demographic groups and charging low tuition but also impose risk-sharing penalties. For community colleges with weak student-loan outcomes, which trigger high risk-sharing payments to the government, the bonuses for enrolling low-income students and charging low tuition would largely offset any penalties. As the authors put it, "Absent these bonuses, hundreds of institutions — particularly community colleges — would be asked to make unfair risk-sharing payments that fail to acknowledge that the school did better than expected." The litany of carve-outs and exemptions show that accountability hawks want to hold only some colleges accountable in some circumstances. Advocates of the new transparency and accountability agenda may demand tougher sanctions for weak student outcomes, but they are just as likely to make excuses for those weak outcomes when ideologically convenient. Until recently, the idea of assessing colleges and universities based on the earnings outcomes of their students, by each degree program, was mostly abstract. The capability of government agencies to gather and disseminate such information is even now only just emerging. But like all new opportunities that could improve public policy, this one also poses risks and challenges. There is certainly a unique role for government in making this new information available. No private entity has access to reliable and comprehensive information on what former students at a given university, in a given program, go on to earn in the job market. Meanwhile, states and the federal government are committing hundreds of billions in direct funding, grants, loans, and tax benefits to students and institutions of higher education each year. At the same time, students cite employment goals as their main reason for pursuing post-secondary education. These facts make a strong case for policymakers to continue collecting earnings information and expanding efforts to make the information available to the public. Higher education is a diverse market with many actors who are in need of this vital information, but they will go without it absent efforts by policymakers. The question of how the government should use this new information to protect students and taxpayers from the risk that a degree or certificate program does not pay off is more complicated. The hidden and explicit exemptions that riddle higher-education accountability systems are, on the one hand, unfair and harm the very students the system is said to protect. On the other hand, they are an attempt to make an accountability system fit the diversity of the higher-education sector and allow it to provide broad, open access to all types of students, many of whom are seeking a second chance. Given those competing goals, policymakers will be hard pressed to develop an accountability system — especially at the federal level — based on earnings outcomes that treats all students and institutions fairly and consistently. The risk is that they opt for many different standards to factor in many different situations, which leads to technocratic formulas that policymakers claim will produce a more acceptable return on our collective and individual investments in education. Elected officials and civil servants are simply unlikely to be able to develop a formula that accomplishes anything of the sort. This leaves right-of-center reformers with two possible positions to take on the new transparency and accountability agenda. On the one hand, they could support policies that use the government's unique resources to collect and disclose more information about prices and student outcomes at colleges. Consumers and other actors would use this information to make better decisions on both the supply and demand sides of the marketplace. But the government should not link subsidies or aid eligibility to these data except to establish a floor that guards against diploma mills, widely recognized fraud, or severe administrative negligence. Or on the other hand, right-of-center reformers could take a harder line than that of many who support the new transparency and accountability agenda by setting a simple standard for programs at colleges based on student outcomes, possibly one that gauges only what students pay in tuition and then earn in the labor market. In contrast to current policies and proposals, this standard would not include any exemptions. It would apply to all programs at all institutions. Programs that fail the test would lose eligibility for government funding or be required to pay a risk-sharing penalty. Right-of-center reformers do not need to agree on which one of these is the superior position. Either would be consistent with their principles. Making information available to all and treating all recipients of government student aid the same would both be important steps forward. Jason Delisle is a resident fellow at the American Enterprise Institute, where he works on higher-education financing with an emphasis on student-loan programs.